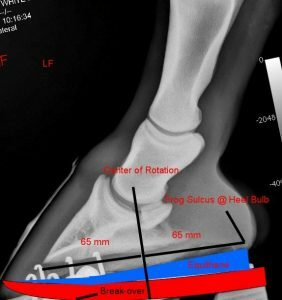 With years of clinical experience, on going research and three patents, Pete can evaluate, format and execute a detailed shoeing prescription to treat most podiatry needs. Need an Evaluation or a diagnosis? Arrange an appointment with Pete and one of the veterinarians at Alamo Pintado Equine Medical Center in Los Olivos or with Dr. Jensen at Alisos Canyon Equine Center in Los Alamos.